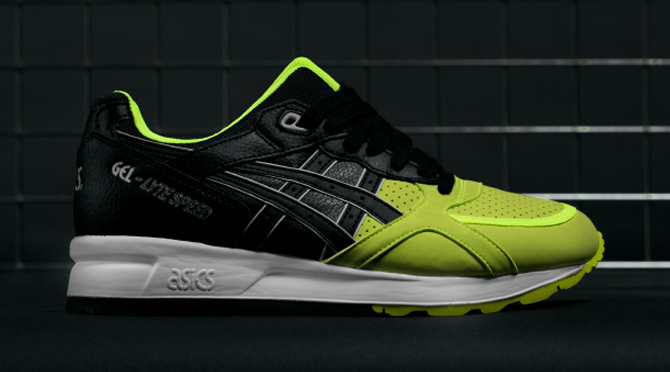 When the entirety of the Asics Fall 2015 line was revealed, it was apparent that Asics would be dedicated to themed packs for its retro offerings. 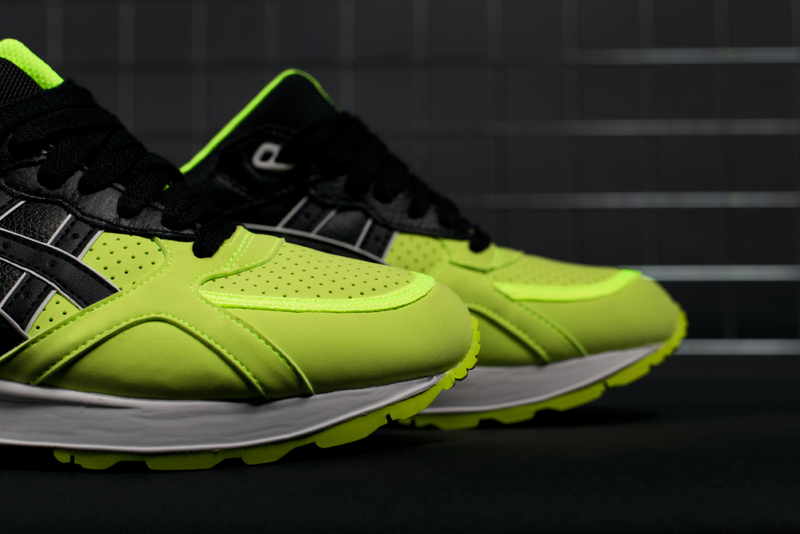 One of those is the "50/50" pack, which takes a handful of different silhouettes and puts black on the backs while highlighting the toes with a pop color. 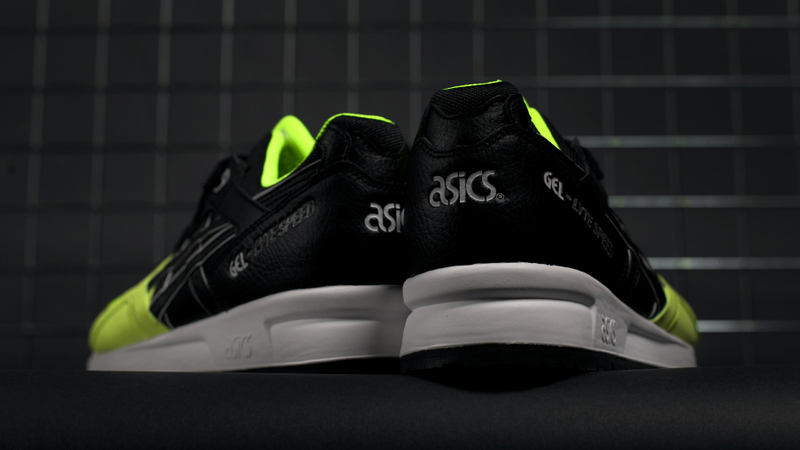 The Asics Gel Lyte Speed is seen here with the look, featuring the promised jet black leather on the back half and some safety yellow nubuck on the front. 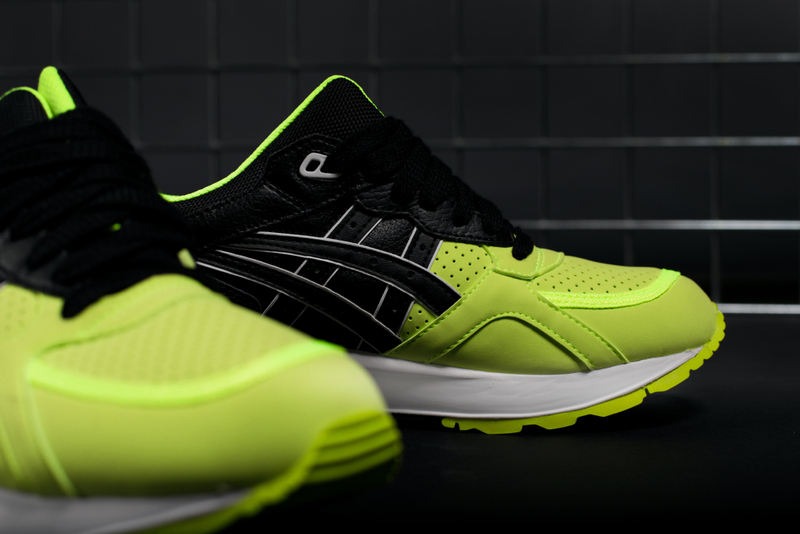 This Asics Gel Lyte Speed style is available now at global Asics accounts like Feature Sneaker Boutique.